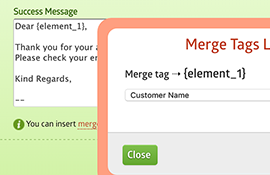 Create dynamic forms with our easy-to-use logic builder. 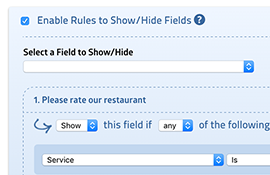 Dynamically show/hide form fields based on user response. 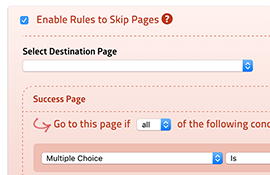 Skip to different pages depending on what users answer. 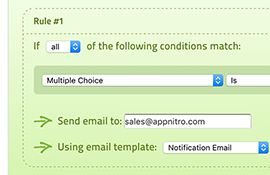 Send an email to different people, or send various content based on user responses. 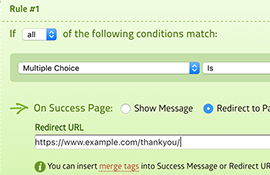 Display unique success pages for all users, based on their answers. 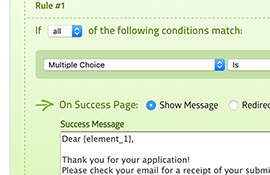 Send form data to multiple third-party systems based on certain conditions. 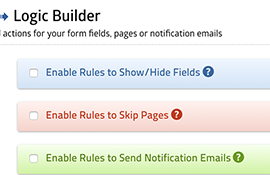 Personalize the success page with the information entered by the user. 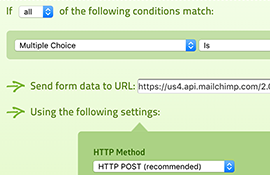 Redirect your form to different URLs upon completion. Unlimited possibilities.